I just adore when something completely new and out of the ordinary comes through the door, and the Magicstripes brand is really coming up with some of my favourite innovative products. 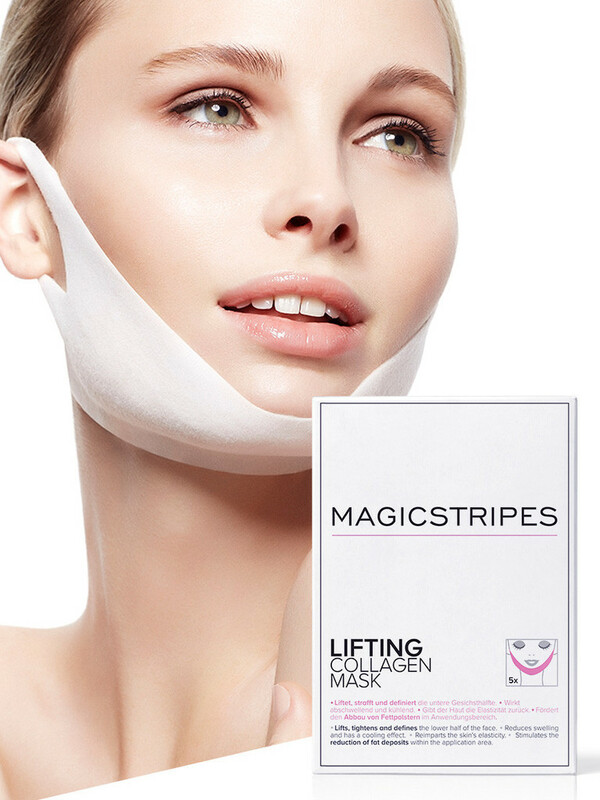 In addition to their iconic strips which completely open up eyes (you can read my review here) they have just brought out these awesome Lifting Collagen Masks which are really like nothing I’ve seen before! Packaged in individual sachets are the masks which feel a bit like a gooey cloth chin sling. There’s no getting around the fact that they are hilarious looking! As funny as they are, the design means that the mask targets the lower jaw area, tightening everything up and giving you a refreshed look. 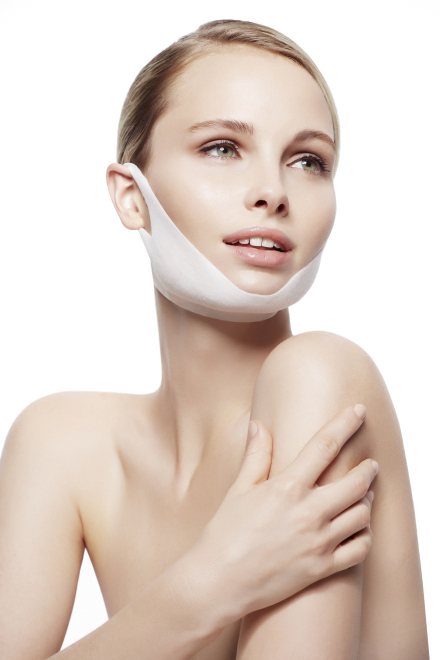 The cloth of the mask has been infused with a cocktail of collagen, caffeine, vitamin C, vitamin E, macadamia nut oil and water, which helps to visibly lift, form and tighten the skin of the lower part of the face. The Lifting Collagen Mask is perfect to use before a big event, and to use, I just apply after cleansing. It feels gorgeously cool and refreshing to apply, and once I’d popped it on, I all but forgot about it. It’s best to leave the mask on for as long as possible, and I enjoyed mine for about 45 minutes. After I took it off, and tissued the excess formula, my skin felt soft and smooth, and my jawline definitely looked rather taught!